Free glassware with every furniture commission! Collect a whole set. 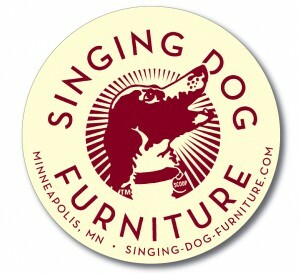 You will also want several Singing Dog coasters, letter press printed on rag stock, to protect your furniture from the ravages of sweating drink glasses or hot cocoa mugs. 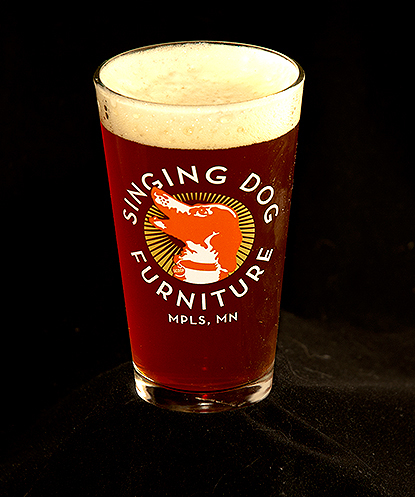 Featuring Scoop, rendered to his most handsome in our logo by Mike at T Design, these stylish pints and coasters enhance the enjoyment of your favorite beverage. If you’re still on the fence about the new dining room table and can’t wait for the cool glasses or coasters, they are available for purchase, as well.